If you’re a female runner the thought has probably crossed your mind, how will having a baby affect your running? How long will it take to get back? And what will it feel like? Leider ist der Eintrag nur auf Amerikanisches Englisch verfügbar. Der Inhalt wird unten in einer verfügbaren Sprache angezeigt. Klicken Sie auf den Link, um die aktuelle Sprache zu ändern. It isn’t exactly an easy topic to talk about. Baby weight is just the starting point. What about the guilt that can accompany wanting to get out of the house and have some time alone? Or the fact that you find yourself inexplicably unable to control your bladder the way you’re used to? While admittedly it might not make compelling dinner table conversation, on Strava there’s no such thing as too awkward or embarrassing. We’ve invited Tina Muir to open the conversation by sharing her own journey back following the birth of her first child. Tina quit the sport after not menstruating for eight years but, after having her daughter Bailey in January of this year, Tina has now been back running for several months. “When I first started running postpartum, without that baby weight I started running in the seven-minute range really fast, I thought it would come back really easily,” says Tina. “But I hit a ceiling. It went from easy to hard really quickly!” Probably something we can all relate to when it comes to running! Here are Tina’s five key pieces of advice for returning to running after pregnancy. Not all will doctors understand how important running might be to you, but at the end of the day, a doctor is the one who can assess the impact pregnancy has had on your body. Your OB or family doctor is the best person to give a general timeline for how long you should take off before attempting to run again, and their word is important. The general recommendation is 6 weeks off after giving birth, but even that may not be enough. Your mind might feel ready to go, but you might get the distinct feeling your body isn’t. Or maybe, your body feels good to go, but mentally you don’t feel good about it yet. Don’t feel any pressure to rush back. Alongside seeking advice from a doctor I strongly recommend going to see a pelvic floor therapist because this is one expert who really knows what the body has been through during pregnancy and birth. Not only will a pelvic floor therapist be able to see where your body is really at, but they understand what a postpartum mother is going through better than most physicians, and will likely give you the all-clear around the same time your intuition would have told you it is time. Your OB or pelvic floor therapist may be able to see a lot about your body, but once you have their approval there is only one person who truly knows when you are ready to begin your return to running journey, and that is you. You have to be honest with yourself about this. Don’t start running for the wrong reasons; because you think you need to lose the baby weight, because everyone else is, or because you feel like you should. Start running because you want to, because thinking about just being out there, whatever speed, distance, or pace you run, brings you joy. Once you do decide it is time, be prepared for a long and bumpy road ahead. That first run might feel amazing, for me it did. Without the extra weight of the baby, I felt like I was 100 pounds lighter! But a few weeks later, when I was given the all clear to run a little faster, I was humbled by how much I struggled. It can be easy to look at what you used to do and get frustrated because you are such a long way from your best but to everyone else, you are incredible for even thinking about getting out there to exercise. You just grew another human being from the tiniest little speck into a person with fingers, eyebrows, and toenails who requires a LOT of attention. There will be a time when you can run fast again, but now is not that time. Now is a time for running because you WANT to. Just enjoy the movement of running (although prepare for a lot of walking first), and remember that you are doing it for yourself, not to show off on social media. Try to keep your ego out of it. Let’s be real. Running can be the last thing on your mind some days, and sometimes you can feel like you are just trying to survive, trying to make it through the next hour without crying and curling up in a ball. There will be setbacks. There will be times when you are just too exhausted and sleep deprived to even think about heading out there. It doesn’t mean you are a failure or that you won’t ever get back into running, it just means your priorities are in a different place; this little child of yours is first. Every single body is different and every body will handle running after having a baby in its own way. Some women may be able to run until the day they give birth and then run a few weeks after. Other women may take a full year before they even attempt to run again after having to stop running early in pregnancy. Most likely you fall somewhere in the middle. Wherever you fall, this is YOUR journey, and you need to make sure you do not allow anyone else to make you feel bad about it. If you had the courage to stop running when it didn’t feel good, then you certainly have the courage to trust your body on your return to running too. Her new book, Overcoming Amenorrhea, is available now. 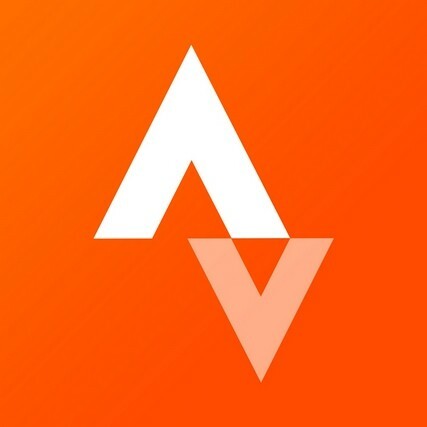 Guest posts, partners stories, words from our Pros and other great Strava minds. Registriere dich bei Strava. Mitmachen ist kostenlos!